Enjoy a hot beverage while sitting with the company of a fluffy owl in this unique cafe! You can soak up a relaxed environment while savoring coffee or milkshakes as you play with an owl! Place is relatively near to the station. 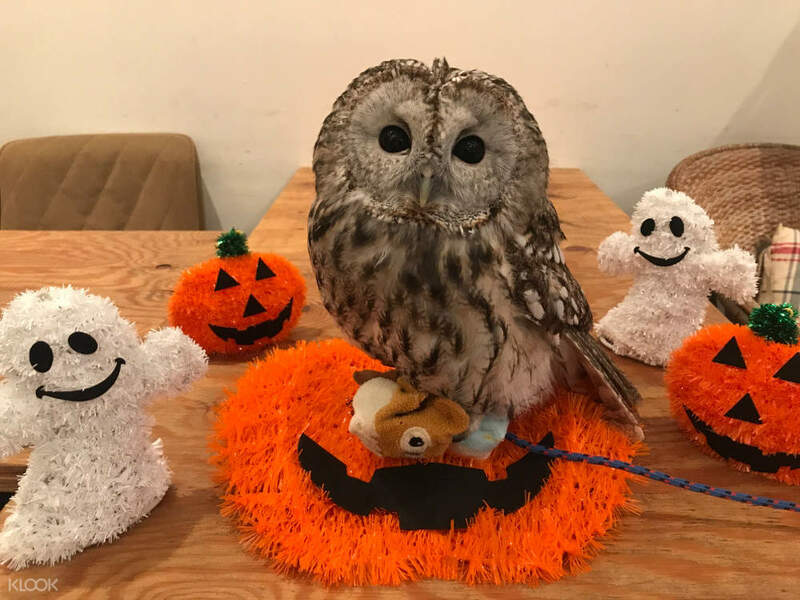 The owls are very cute, soft and fluffy. Don't be surprised to spot any owl greeting you when you open the main door to the cafe. This is not your ordinary cafe! Cafe HOOT HOOT allows its patrons to enjoy the company of a beautiful variety of owls that live within it. The fluffy creatures are of various species and origins, absolutely adorable and quite friendly! Enjoy a sweet, hot beverage as you interact with the avian creatures, take photos with them, and even learn about them! The cafe is open until 11pm, so heading there to de-stress after a long day of exploration is a wonderful idea. Learn how to raise owls and the different varieties, and enjoy their company! All the owls have been raised by humans, and quite friendly. 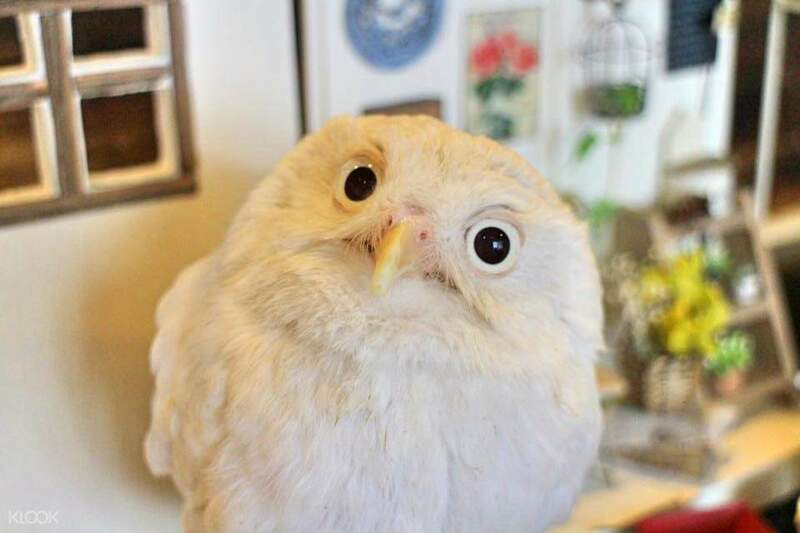 See the fluffy snowy owl (like Hedwig from Harry Potter! ), the sharp tawny owl, the peering barn owl, the sweet mottled owl, and more! Meet a variety of owls inside the cafe! The owls are very friendly; don't forget to take pictures! 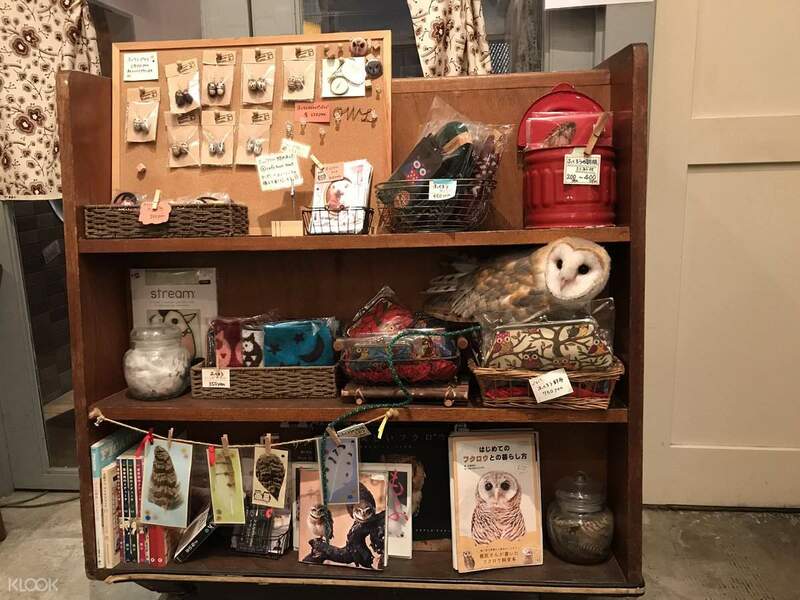 You can even buy some charming owl-themed items in the shop! Went there on a weekday to avoid crowd. The owls were so cute and fun to play with. Went there on a weekday to avoid crowd. The owls were so cute and fun to play with. A unique experience, especially since one of our daughters really loves owls. The staff were quite friendly, and so were the owls. Quite a walk from Shibuya Station and off the main road, so it helps if you have access to Google maps. A unique experience, especially since one of our daughters really loves owls. The staff were quite friendly, and so were the owls. Quite a walk from Shibuya Station and off the main road, so it helps if you have access to Google maps. We had a hard time finding this place because we were led by the google map to Harajuku. But after walking for an hour, we finally saw this place and it's worth it. I paid additional 500 so that the owl can be placed on my forearm. We really had some fun. Also, the staff here were really nice! We had a hard time finding this place because we were led by the google map to Harajuku. But after walking for an hour, we finally saw this place and it's worth it. I paid additional 500 so that the owl can be placed on my forearm. We really had some fun. Also, the staff here were really nice! It’s pretty fun and you get a real upclose with the owls! Some of the owls are huge, but friendly too. You can touch the owls and they are really soft... They flies around the cafe so make sure you cover your drinks! It’s pretty fun and you get a real upclose with the owls! Some of the owls are huge, but friendly too. You can touch the owls and they are really soft... They flies around the cafe so make sure you cover your drinks! Interesting experience. I am not sure if you would say I was lucky to get the biggest owl to accidentally fly in on me but that is somting new for me at least ha ha! Be carfull if you go. Owls do not see well in daylight and can accidentally happen what happen to me! Interesting experience. I am not sure if you would say I was lucky to get the biggest owl to accidentally fly in on me but that is somting new for me at least ha ha! Be carfull if you go. 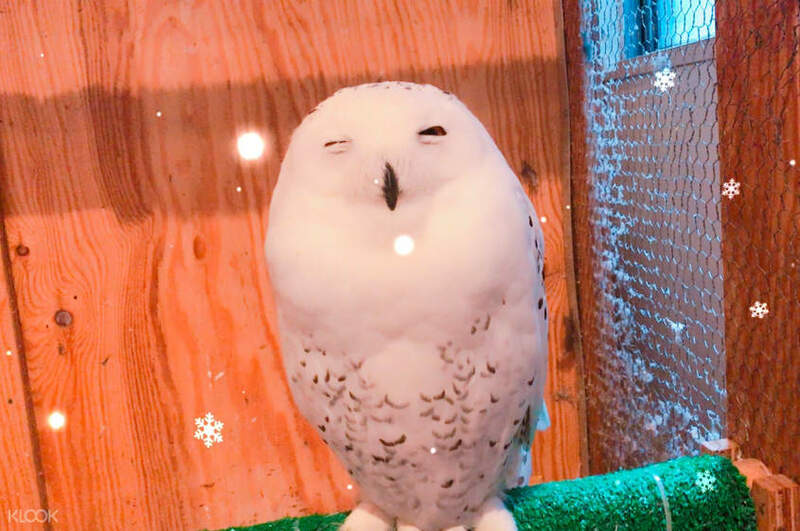 Owls do not see well in daylight and can accidentally happen what happen to me! Place is relatively near to the station. The owls are very cute, soft and fluffy. Don't be surprised to spot any owl greeting you when you open the main door to the cafe. Place is relatively near to the station. The owls are very cute, soft and fluffy. Don't be surprised to spot any owl greeting you when you open the main door to the cafe. Quite a walk from Shibuya Station at a quiet alley. But was worth it! The owls were all very cute and there was one especially friendly one who kept coming close to us and it was amazing! Very peaceful atmosphere. 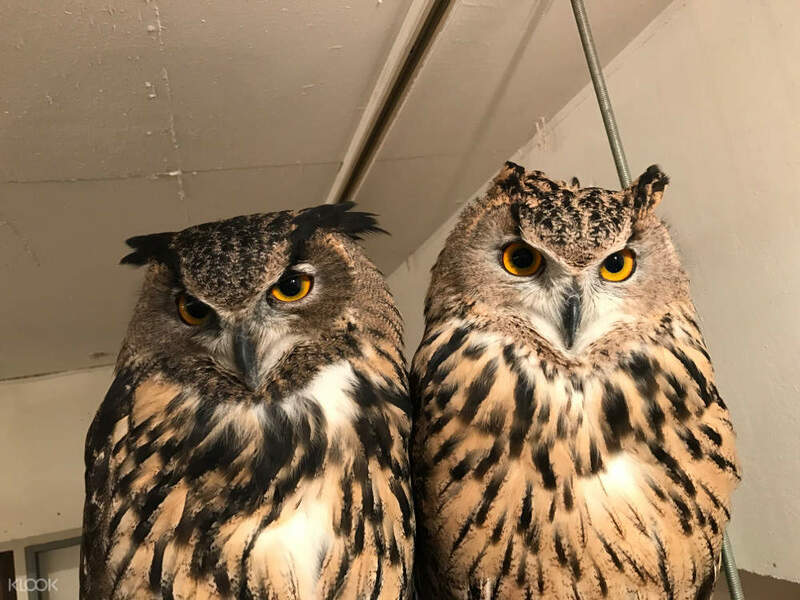 There were 2 pretty huge owls who would fly across the room sending huge gusts of wind. Spent the 1hr there pretty easily. Quite a walk from Shibuya Station at a quiet alley. But was worth it! The owls were all very cute and there was one especially friendly one who kept coming close to us and it was amazing! Very peaceful atmosphere. There were 2 pretty huge owls who would fly across the room sending huge gusts of wind. Spent the 1hr there pretty easily. I would only recommend this place if you have no other program after shoppingbarounf the area. Sit down relax and have a drink , watching the owl at 1 corner . noting much things to do besides douching away from the flying owl. I would only recommend this place if you have no other program after shoppingbarounf the area. Sit down relax and have a drink , watching the owl at 1 corner . noting much things to do besides douching away from the flying owl. It was so quite and peaceful, I never have encountered owls like this before. Great experience, friendly staff. It was so quite and peaceful, I never have encountered owls like this before. Great experience, friendly staff.